Bet Aviv has a special relationship with Kol Nefesh. Focusing on young adults and families, Kol Nefesh’s goal is to meet the religious, educational, and social needs of a diverse population in a warm, friendly, and service-oriented community. 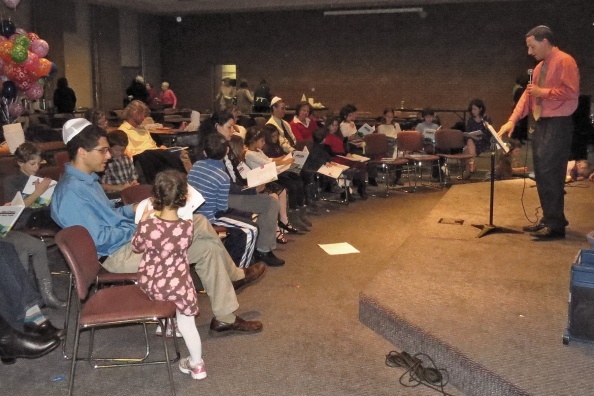 As an equity owner in the Oakland Mills Interfaith Center, Bet Aviv has helped Kol Nefesh obtain favorable rates to hold their services at The Meeting House. Kol Nefesh generally holds Shabbat services once a month on the third Friday of the month. Some of the founding families of Kol Nefesh are children of Bet Aviv members. Together we celebrate holidays, such as Hanukkah and Passover to offer multi-generational experiences. Kol Nefesh hosts a children’s service on Rosh Hashanah and Yom Kippur mornings, that grandchildren of Bet Aviv members may attend.